After U2 hit a creative impasse with 1988’s Rattle & Hum, the band reinvented themselves by embracing dance culture for a bold change of musical direction. 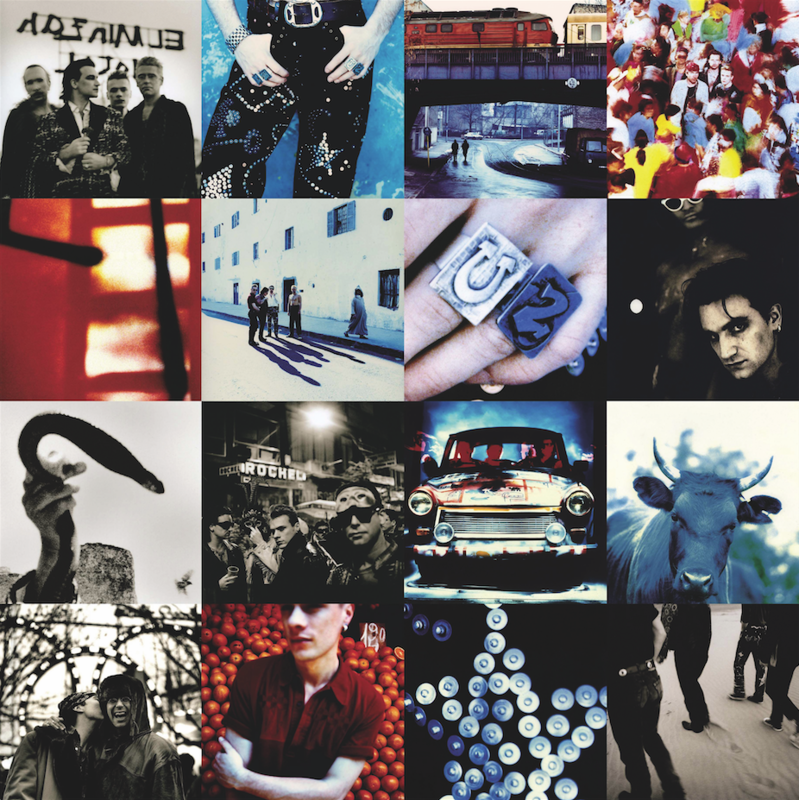 The resulting album was the landmark Achtung Baby. 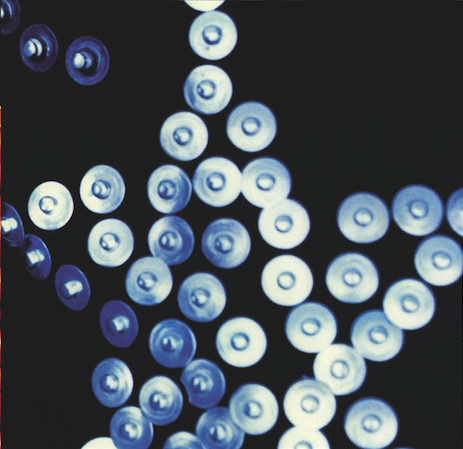 Let’s delve a little deeper to take a look at its striking cover artwork. Written by Steve Harnell. The foursome photographed on the roof of the El Minzah hotel in Tangier, Morocco, in October 1991. 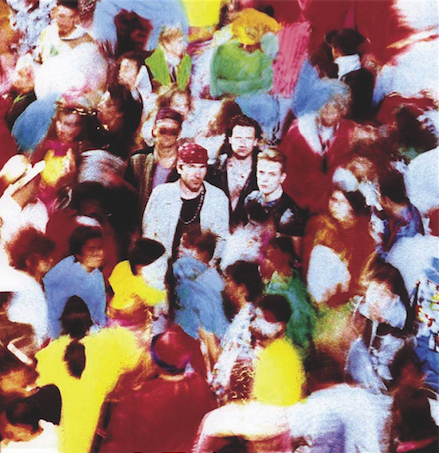 The band reportedly stayed at the hotel while filming the Mysterious Ways promo. The hotel has a longstanding rock’n’roll heritage and was a favourite haunt of The Rolling Stones in the 60s. Other famous guests to have stayed there include Winston Churchill, Yves Saint Laurent and everyone’s favourite Belgian, Jean-Claude Van Damme. A restyled Edge, boasting a pretty fancy line in bejewelled trousers. 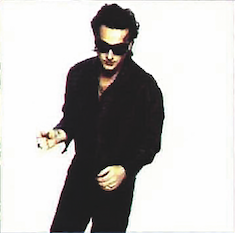 The guitarist first unveiled his reinvention in the video for The Fly. After finishing the Lovetown Tour in January 1990, Bono was dissatisfied with U2’s apparent musical and stylistic stagnation vowing “we have to go away… and dream it up all over again,” he explained. 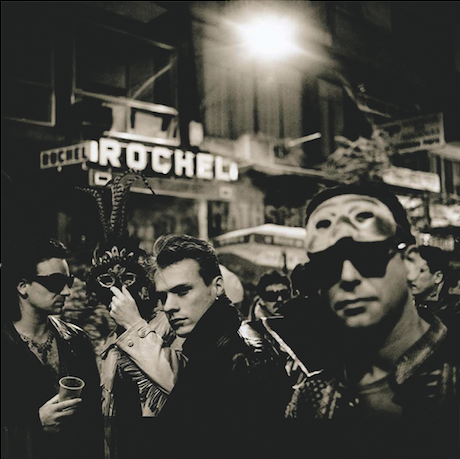 The results were a radical new look and sound for Achtung Baby that saw the band regain their relevance as a pop and rock global force. Bono and drummer Larry Mullen Jnr walking in Berlin’s Hackescher Markt (Hacke’s Market). 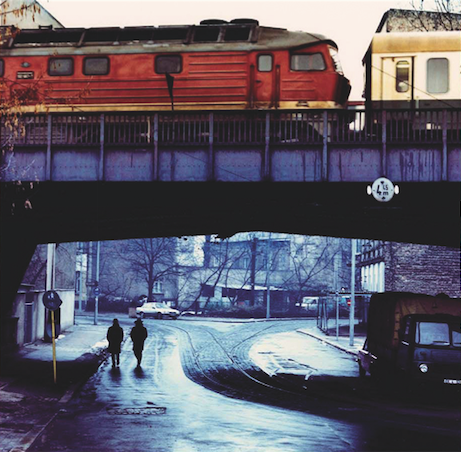 Formerly a rundown part of the city, after reunification it became famous for its nightlife. Perfect for the club-friendly new direction of the band that U2 embraced on several cuts on the album. This hyper-saturated image was taken at Tenerife’s Carnaval De Santa Cruz in February 1991. The event is considered to be the world’s second most important carnival, after the extravaganza in Rio. Partially for this reason, the city of Santa Cruz de Tenerife is twinned with Rio de Janeiro. The Edge shows off his bespoke U2 rings, a drastic reinvention from the cowboy hats and bandanas of previous album Rattle And Hum. 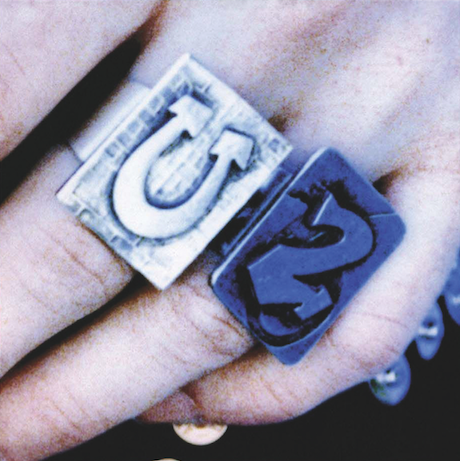 The two rings featured in the promo for The Fly and were created by fashion designer Joe Casely-Hayford. They were sold in 2008 for more than $30,000. 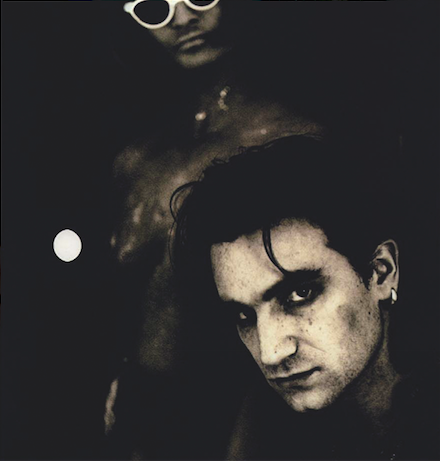 Bono in eyeliner, and yet another example of how the band had morphed their look from trad rockers into something more contemporary. 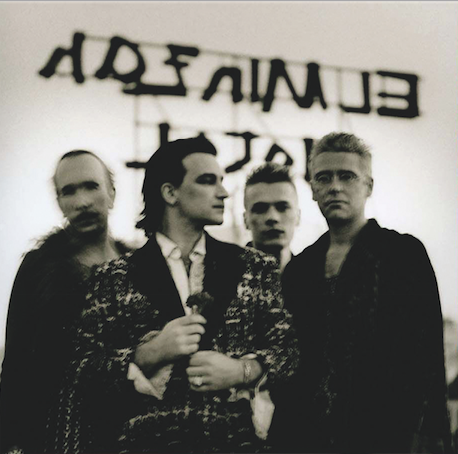 A further Tenerife photoshoot for the album in February 1991 found all four U2 members dressed in full drag. 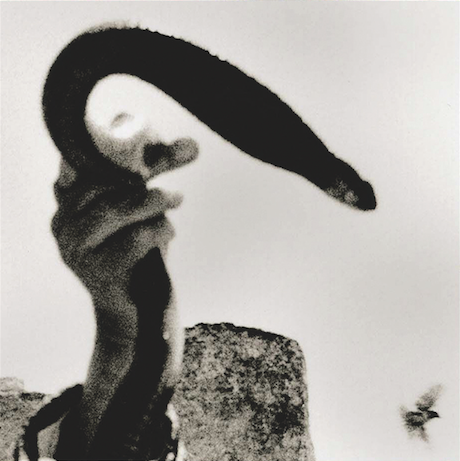 Commonly mistaken for a boomerang or weapon, this is a snake that was photographed by Anton Corbijn in Fez, Morocco, around the time that the band filmed a promo for the Mysterious Ways single with director Stephane Sednaoui. Another shot from the Carnaval De Santa Cruz in Tenerife as some of the band wear masks to move unnoticed among the assembled throng. Symbolising the band’s time working at Hansa Studio, the Trabant was a common vehicle in East Germany before the fall of the Berlin Wall. 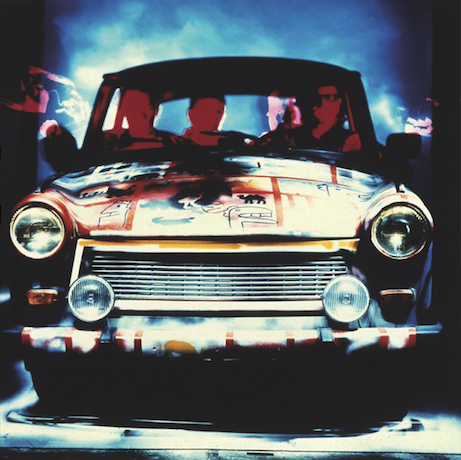 When U2 toured Achtung Baby, Trabants were used to house on-stage lighting rigs and also form DJ booths for supporting artists including BP Fallon and Paul Oakenfold. 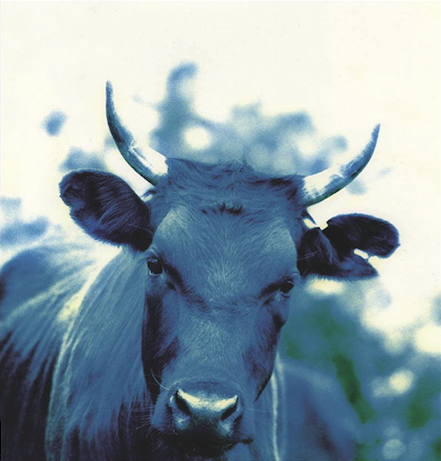 This photo of a cow from County Kildare near Dublin was likely chosen to highlight that the band were happy to take themselves a little less seriously than on previous albums. Could this also be a tongue-in-cheek callback to the cover of Pink Floyd’s Atom Heart Mother, too? 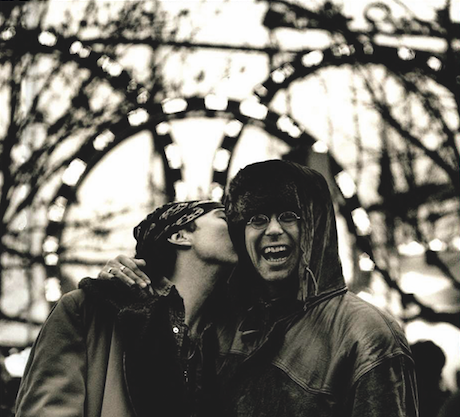 The Edge gives bassist Adam Clayton a kiss at a Berlin park in 1990. With Brian Eno on board as co-producer, recording at the city’s Hansa Studio – the place where Eno helped Bowie shape his iconic albums “Heroes” and Low – seemed like a natural fit. Unfortunately, sessions didn’t pan out as planned and U2 even considered splitting after a series of disagreements over their new direction. 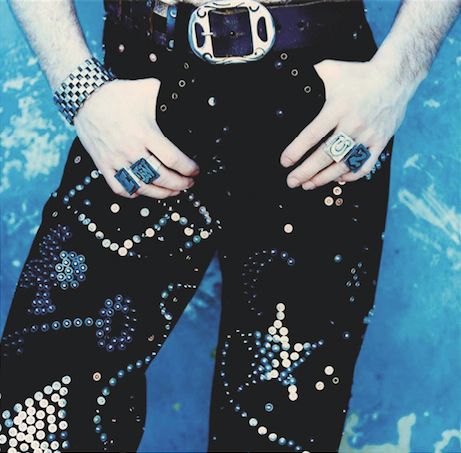 A close-up of The Edge’s studded trousers that at first glance can look like a collection of bullet casings.